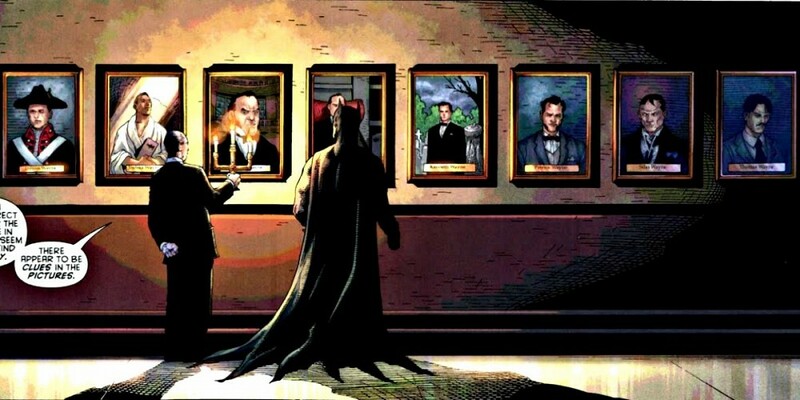 Over a year ago, we did an article called 15 Things You (Probably) Didn’t Know About Batman. Since nobody can actually say they know everything there is to know about The Dark Knight, here is a follow-up post with ‘Another 10 Things You (Probably) Didn’t Know About Batman’. Over 74-odd years, in an assortment of media, Batman, one of comic books’ first anti-heroes, has become one of America’s most beloved superheroes. Over the years, he has been the subject of blockbuster movies, video games and television series. 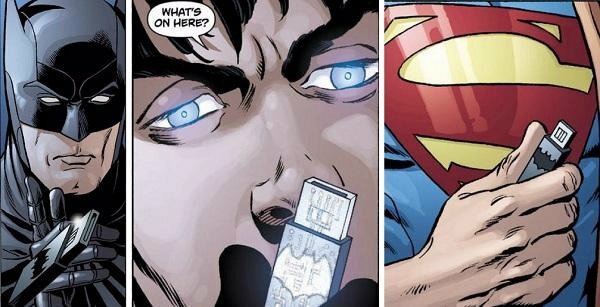 While virtually everyone knows something about Batman, there’s a lot that many don’t know (well at least the everyday fan won’t). The Caped Crusader’s mysteries are much deeper than fathomed. Not only is the initial design of the mansion (circa 1795 & Darius Wayne) a stylized “W” but when you tack on the additions over the years, the outline of the funeral garden paths, it turns into a giant Bat-Signal! The Batcave is accessible in several ways. It can be reached through a secret door in Wayne Manor itself, which is located in the main study, behind a grandfather clock. 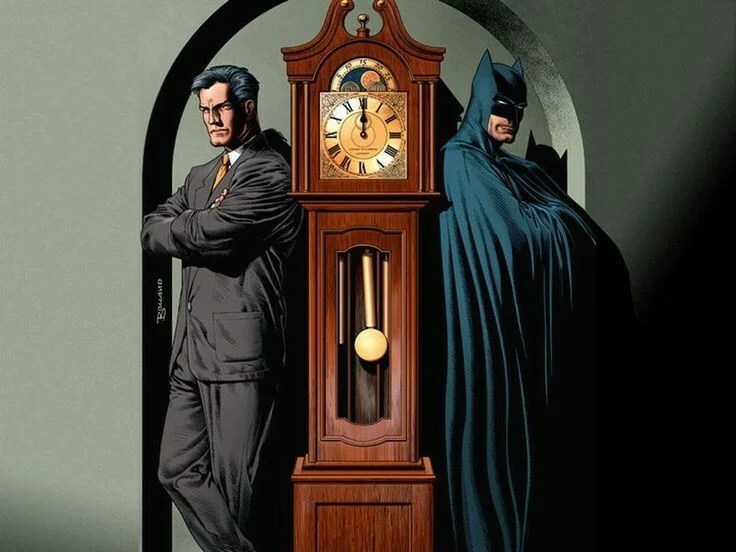 The panel unlocks when the hands of the clock are set to the time that Bruce Wayne’s parents were murdered: 10:47. 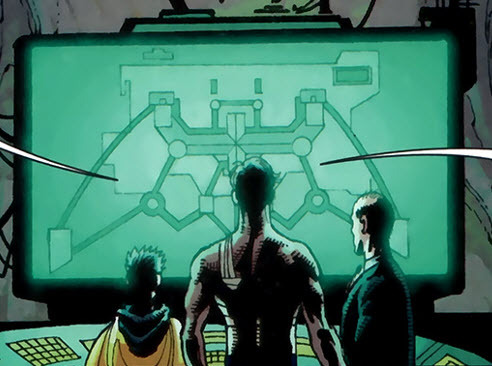 Alternately, the study entrance has been shown to be behind a bookcase which slides to the side when a secret button is pushed, revealing the “Bat-Poles”, which allows Bruce Wayne and his ward to change into their Batman and Robin costumes en route as they slide down to the cave. There is also an entrance under Bruce Wayne’s chair in his office in Wayne Enterprises, as shown in Batman Forever. In Batman Begins the cave is accessible through a secret door disguised as part of a large display case and unlocked by pressing a sequence of keys on the nearby piano. 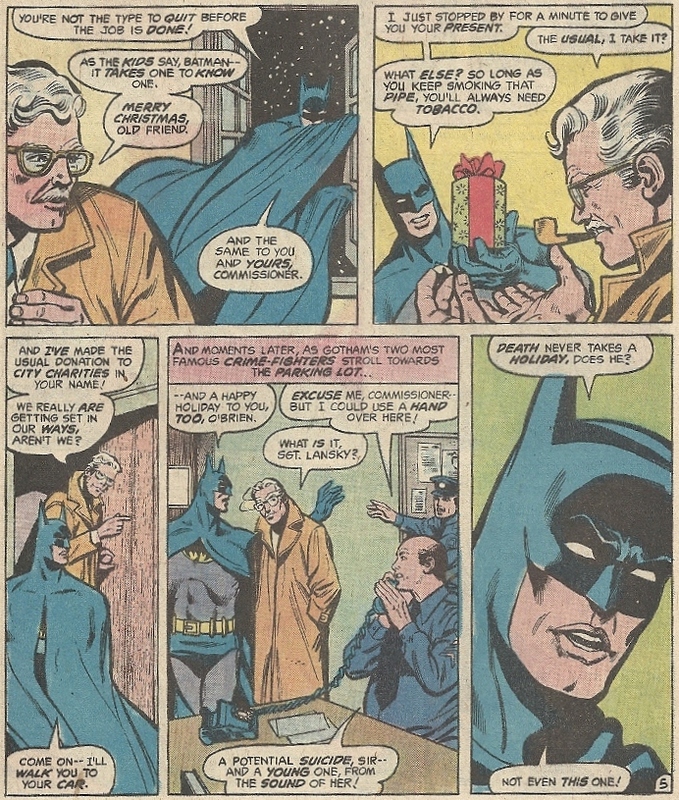 According to “Have Yourself a Deadly Little Christmas!”, The Caped Crusader gives Commissioner Gordon a box of tobacco for Christmas every year (see pic above). I wonder if he’ll get him a vape this year? 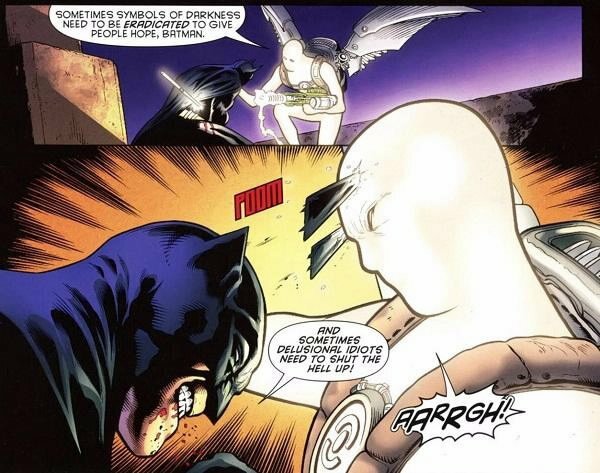 Here’s something I never realised… Batman’s ears are spring-loaded and can be shot as projectiles at bad guys. That would explain why some costumes have longer, sharper, and pointier ears. Batman is obsessed with his logo. So much so, that he is putting it on everything he uses – yes, even his flash drives. 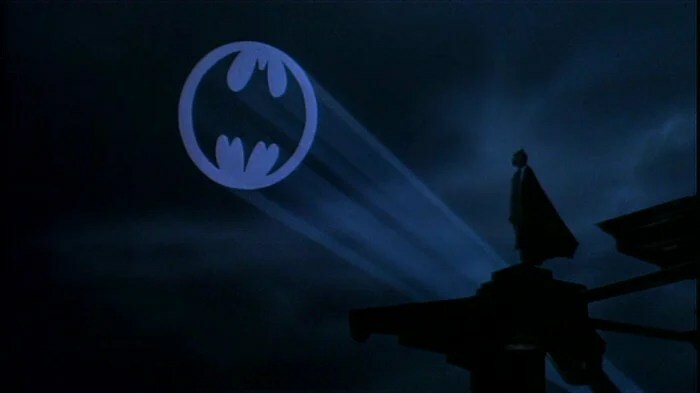 Police interaction with the Bat-Signal and Batman himself can lead to cases against criminals arrested by Batman being dismissed, it is up to the civilian employees of the Gotham police department (including the Major Case Squad’s civilian attache, Stacy) to operate the signal officially. The foundations and structures in the Batcave were put in long before Bruce was ever born. Bruce’s ancestors, Solomon and Joshua Wayne, used the caverns underneath their acquired land to help escaped slaves travelling on the underground railroad. Many slaves escaped injustice through these tunnels. 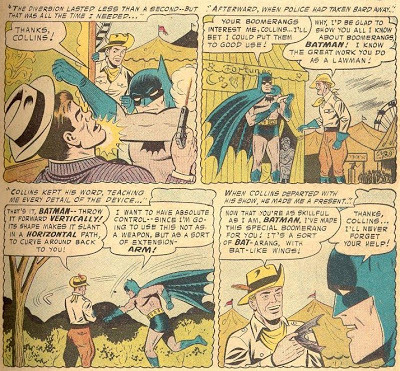 So not only did Collins teach Batman how to throw, but he also created the very first Batarang! 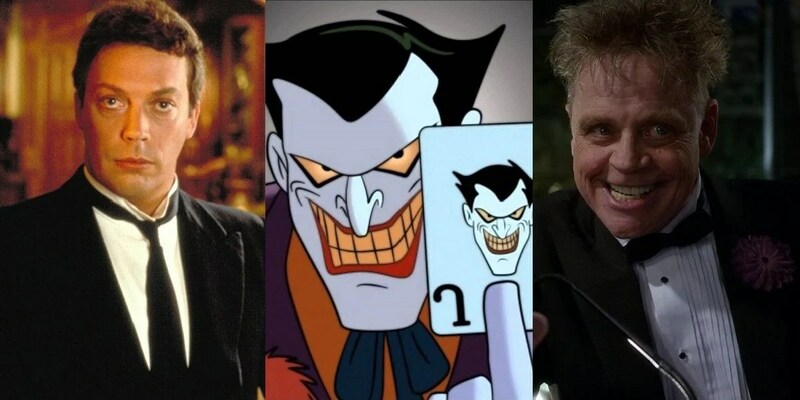 The animators for the Batman: The Animated Series auditioned over 150 actors before they choosing Kevin Conroy for the voice of Batman. That wasn’t the first clown Tim Curry would have played either. Curry also played Pennywise the clown in Stephen King’s It. Sadly he was deemed too scary as Joker. As we all know, that part eventually went to Mark Hamill.